are set to fight to win more users to the Xiaomi which I think they are doing well with the launched of this cool device Mi Mix and Xiaomi Mi Note 2. Sit and relax while we take you through some of the features of the device. 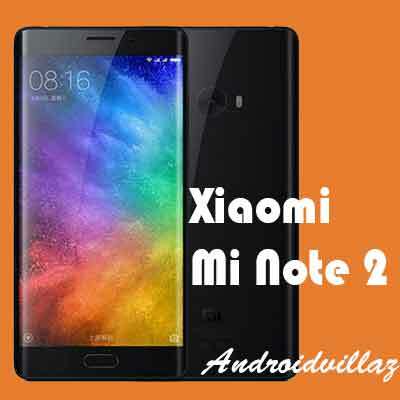 Xiaomi Mi Note 2 is a 5.7 inches device with AMOLED capacitive touchscreen and 16M colors, resolution of 1080 x 1920 pixels, 156.2 x 77.3 x 7.6 mm dimensions and it weighs around 166 grams. Mi Note 2 come in two variant which is 6 GB or 4 GB RAM with 64 GB or 128 GB internal memory storage and 4070 mAh Non-removable Li-Ion 4070 battery, This part you will love so much many buy some phones because they got great Camera MP, so Xiaomi is taking the game on by putting 22.5 MP Camera with features like phase detection autofocus, dual-LED flash and a selfie camera of 8 MP with autofocus. Selfie lovers are going to freak out!! It is powered by Qualcomm MSM8996Snapdragon 821 and runs on Android Marshmallow and It has a Quad-core (2×2.35 GHz Kryo and 2×1.6 GHz Kryo) processor and Adreno 530 GPU. Regardless to say the phone is an amalgam of beautiful design and amazing specs. The camera is a bonus. If selfie is what you crave for and storage and efficiency are your concern, this one is your thing. Without out saying much they device is beauty and is pride to carry around.